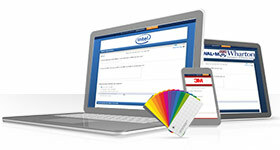 Create, Administer and Take a Survey for Free! 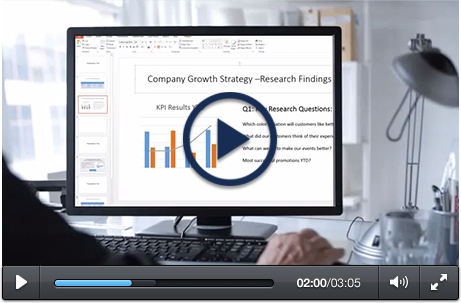 Create And Distribute Questionnaires So Your Respondents Can Easily Take Your Surveys. Sign Up Today For A Free Account. All of QuestionPro's features are optimized for mobile devices, so you can even create surveys on your tablet or smartphone. When your account is created and you're ready to begin making surveys, you have three different methods to choose from, which include browsing the survey template library, upload a questionnaire you've already created, or start from a blank template. 1. 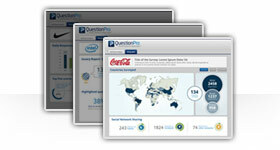 QuestionPro has a large template library of ready-made surveys for you to choose from. You can pick one to edit and customize for your exact needs. To choose a survey for others to take, check out QuestionPro template library! 2. If there's questions that you already have and would like to implement into your survey, you can easily upload them using Microsoft Word. 3. If you want to start from a blank template and create your survey from scratch, you have over 30 different question types to choose from, in additional to various personalization options. If you work in market research, you'll want to know the opinions and attitudes of a particular segment of the market that will most likely buy your product or service. Any person who manages employees will want to conduct official evaluations, which will include gaining information about how loyal and dedicated they are to the company as a whole. Teachers can employ surveys to measure the efficiency of their classes and overall curriculum. On the other hand, surveys can be employed to rate the teachers to discover their performance in the classroom as well. One of the most common surveys seen are those relating to customer satisfaction. Knowing how customers feel they're treated and the quality of the products and services can ensure repeat purchases. Step 3: From here, you can pick the method of survey creation that best fits your needs. If you need to brainstorm a bit, you can browse the template library and figure out exactly what kind of survey you need. If you have a questionnaire you've already created, you can easily import it using Microsoft Word. If you just need to start from a blank survey, you have the option of picking over 30 various question types among other customization and personalization options. What is it like to sign up for an account? Is it easy and free? Once you're in, how the layout of the interface? Is it intuitive and easy to follow? What sort of survey creation options do you have once you're in? Do they have a giant library of ready made surveys for you to browse to gain ideas for brainstorming? What if you have your own survey that's already made? Are you able to easily import it? Or maybe you're just looking to start off with blank questionnaire. Can you easily change the look and feel of your survey? 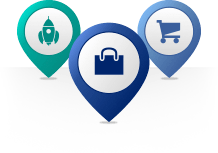 When you choose QuestionPro, you'll have all of these features mentioned and much more! When your survey is finished and you're ready to send it out, what sort of options do you have for distribution? If you don't have any respondents, does the provider offer a service where you can purchase a sample of participants based on certain demographics? If you know who you'd like to send your survey out to, can you create an email list that you can manage easily? 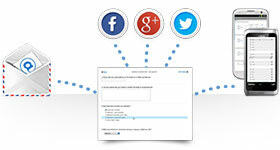 If you want to post your survey to your social media network, are you able to do that within the interface? With QuestionPro, you can do all of these things and more! With your survey distributed and results coming in, what's available to you in terms of reporting and analysis? 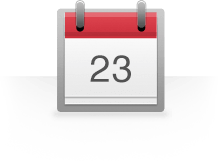 Are you provided with a real-time summary of your results that show you the number of people that finished your survey and the average time it took them to complete it? For reports, can you create stunning infographics and word clouds for easy interpretation of the data? What about analysis? From within the interface, are you able to perform trend or TURF analysis? Or possibly you just need to export your data to the cloud? QuestionPro can perform all of these things and more. 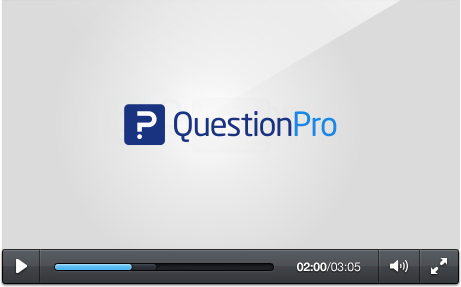 Creating An Account In QuestionPro is fast and easy. Once you have your own account, you can choose from three different options for survey creation, which includes choosing a pre-made template to edit and customize, uploading survey questions you want to implement, or creating a questionnaire from scratch. Once you have your questions laid out, you can customize your survey by changing the theme and the fonts to suit your exact needs. Once your survey is created, you can send it out with a few different methods. If you have email addresses of your respondents, you can copy and paste them into a custom email list, or you can easily post your survey to your social networks such as Facebook or LinkedIn. You also have the options of generating a QR code that links directly to your survey, as well as the survey link URL. If you don't have respondents, QuestionPro offers a service where you can purchase your participants with specific demographics. After you start collecting survey results, you have many options for reporting. You can create professional looking infographics and word clouds with just a few clicks. For analysis, from within QuestionPro you can perform trend and TURF analysis, as well as being able to export the raw data for advanced analysis in Excel and SPSS. If you need your results backed up to the cloud, you can connect with various services such as Dropbox and Google Docs.